Do something different for your year end function this year! 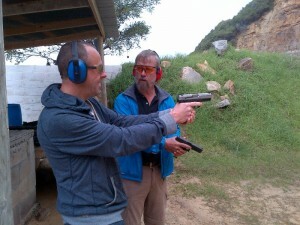 Book a fun and adrenaline filled day for you and your staff at False Bay Firearm training Academy. Take in the view, feel the vibe and learn to shoot. Check out our packages and Call us today for a booking! Year End Function – False Bay Training Academy – Handgun Shooting Training – Social Shooting Training or Sports Shooting Training. Team Building. Or come for a team building experience.We offer various shooting packages to suit your requirements – target shooting, rifle shooting, clay pigeon shooting, small arms shooting.